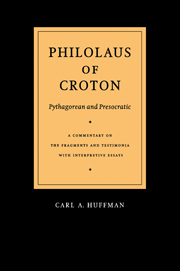 "We have here another blockbuster offering from Carl Huffman (hereafter H.), who has already put us in his debt by a definitive (and similarly vast) study of (Philolaus of Croton, Pythagorean and Presocratic, Cambridge, 1993). 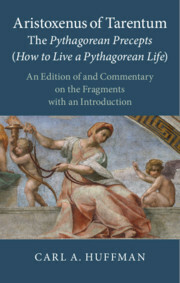 This work will serve in turn to establish Archytas as a philosopher in his own right, and not simply a footnote to Pythagoras, as has all too often been the case hitherto. Archytas had views on other aspects of philosophy and science as well, such as optics and the theory of motion, as well as some suggestions of a theory of first principles, and all these H. expounds with great fullness. 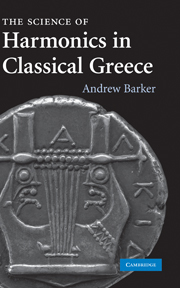 One can only salute his immense industry, while wondering how many punters are actually going to get through the 620 pages of text. 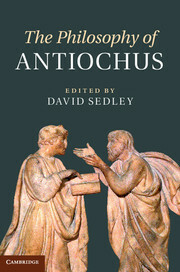 Those who do, however, will be rewarded, learning much, not only about Archytas himself, but about many other areas of antiquity as well." 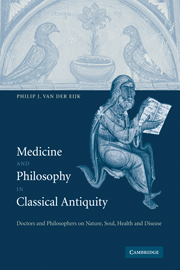 "Aristotle's extant writings mention Archytas only three times, but among his lost writings there were three books about the Archytan philosophy -more than he wrote about any other single figure. 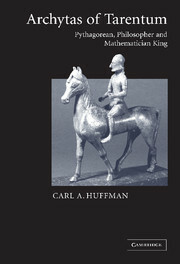 Huffman is the first modern scholar to follow Aristotle's lead, devoting an entire work to this philosophy."